Skoda is likely to debut a facelifted Rapid C-Segment sedan in India, sometime late next year, to help the car carry on for a couple of years before an all-new model is launched, in 2021. 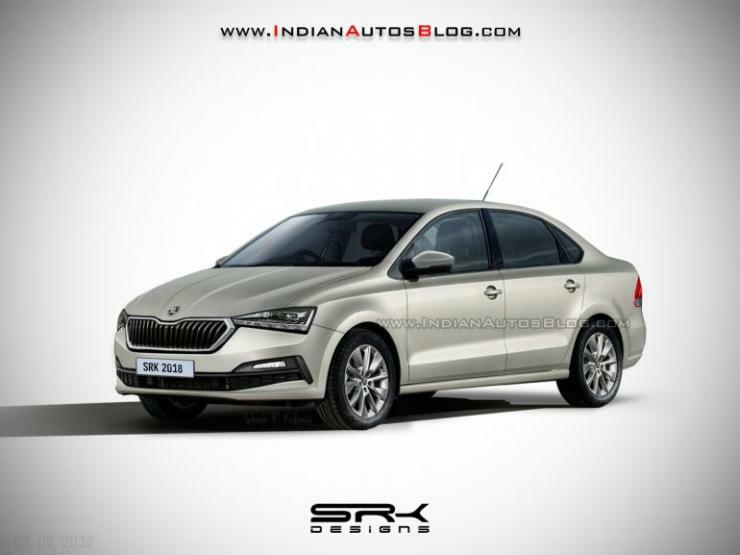 Here’s a speculative IAB render that shows what the facelifted Skoda Rapid could look like. As the render indicates, the facelifted Skoda Rapid is likely to borrow design cues from the Vision RS concept, a car that is the precursor to the next-generation, Euro-spec Fabia hatchback. While the next-generation Skoda Fabia for Europe is based on the MQB platform, the facelifted version of the Rapid for India will continue on the PQ24 platform. However, the all-new Rapid sedan that will arrive in India, in 2021, will use the MQB A0 platform, a low-cost platform engineered out of the MQB platform, and meant mainly for developing markets, such as India and Brazil. Apart from changes on the outside, the interiors of the car could gain new features and mild stylistic revisions such as new trim for the seats and doors. Initially, the India-spec facelifted Rapid is likely to continue with the current crop of petrol and turbocharged diesel engines that include the 1.6-litre MPI petrol (105 Bhp-153 Nm) and the 1.5-litre TDI (105 Bhp-250 Nm). In April 2020 though, the Rapid sedan is expected to transition to petrol power completely, with a new 1-litre-3 cylinder TSI turbocharged motor becoming the mainstay. The 1-litre TSI motor is capable of producing 108 Bhp-200 Nm, making it an ideal replacement of not just the 1.6-litre MPI petrol but also the 1.5 TDI diesel. The new motor will come in mainly to ensure that the facelifted Rapid manages to meet the much more stringent Bharat Stage 6 (BS6) emission norms, which will come into force in India, from April 2020. The motor is also likely to be hybrid-ready. The new norms are likely to sound the death knell for a lot of diesel cars. The Volkswagen group has revealed that it will be moving away from diesel engines in the budget segments, once the new emission norms kick in. This is because diesel engines will get quite expensive in order to meet the new emission norms, making them too pricey for use in budget cars.